Brow lift, also known as forehead lift, addresses lax skin and tissues on the forehead and brow that contribute to a tired, angry or older-looking appearance. 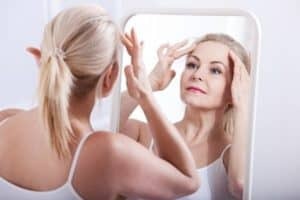 An expertly trained and skilled facial plastic surgeon like Dr. Brian Maloney knows how to elevate the skin and tissues, and smooth out noticeable creases on the brow and forehead in a way that appears completely natural. Following brow lift, Atlanta patients look like a well-rested and younger version of themselves. As a fellowship-trained facial plastic surgeon, Dr. Maloney has an in-depth understanding of the facial anatomy and knows that too much or too little correction on a prominent area such as the forehead can result in an unnatural facial expression. 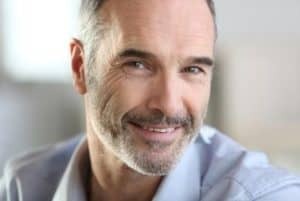 He combines his technical expertise with an individualized approach to consistently deliver remarkable yet natural-looking results to patient who wish to turn back the clock with brow lift. Brow lift can be performed as a standalone procedure or in conjunction with other procedures and treatments (e.g., eyelid surgery, facelift) to produce more comprehensive results. Dr. Maloney takes various factors into consideration, including the patient’s personal preferences, when recommending a treatment plan. Dr. Maloney will provide you with specific instructions to follow before and after your brow lift procedure. Brow lift is typically performed as an outpatient procedure. The procedure itself is painless as general anesthesia is used to ensure the patient’s comfort. The duration of the procedure will depend on the degree of correction needed, the technique used and whether other facial rejuvenation procedures are being performed during the operation. We recommend you have a loved one drive you to and from surgery, as well as stay with you for the first 24 hours after surgery. Swelling, bruising and soreness are normal for the first few days of recovery. These side effects should subside over time. Dr. Maloney can prescribe oral pain medication to manage post-op discomfort. While most patients need will take one week off from their normal routine (e.g., work and exercise), Dr. Maloney will provide you with detailed guidelines on when it is safe to resume regular activities based on your personal healing progress. There are several incision techniques that can be used for brow lift. The approach Dr. Maloney uses largely depends on the patient’s hairline and the results they hope to achieve. In coronal lift, Dr. Maloney creates a single incision within the hair-bearing scalp that extends ear to ear. Through this incision, the surgeon trims, lifts and repositions the skin and tissues as needed. Scarring is well concealed within the hair. Endoscopic lift involves creating a series of small incisions within the hairline. An endoscope (a thin tube with a small camera attached at the end) is inserted through the incisions and guides the surgeon when making modifications to the skin and underlying tissues. This approach often results in less scarring and quicker recovery. Trichophytic lift creates an incision at the anterior hairline. The skin on the brow is lifted without altering the front hairline. This technique is often appropriate for individuals with higher foreheads, as a high forehead can be lowered to achieve better facial balance. Temporal lift, also known as lateral brow lift, is a less invasive technique than others as it focuses on the lateral (or outer) portion of the brow and temple region. It does not treat the central forehead or area between the eyes. Incisions are made along the hairline located on the lateral forehead. Mid Forehead lift is a procedure where excess forehead tissue is removed by placing the scar in the central forehead along a horizontal wrinkle. This procedure can be done as an outpatient procedure in the office. If you would like to learn more about brow lift or another facial rejuvenation procedure, please contact our Atlanta office by calling (770) 804-0007. A member of our team would be happy to speak with you and schedule a consultation.